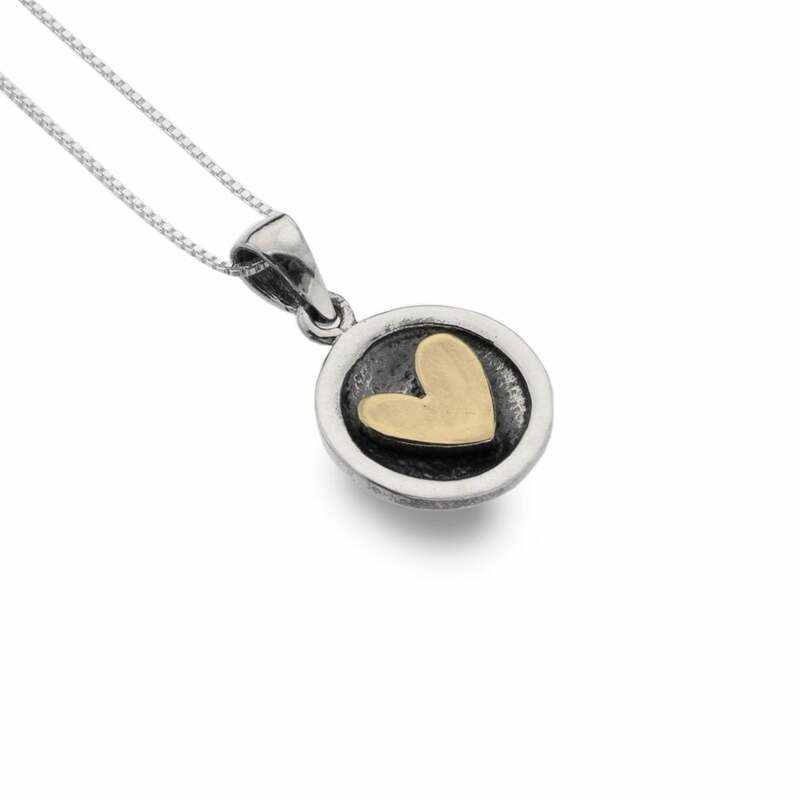 PRODUCT INFORMATION: Oxidized Sterling Silver with Brass heart. Brushed, matte finish. Fine 18 inch chain with clasp open/close. Elegant and classic, this delicate Sterling Silver pendant from Sea Gems will never go out of style. The small round pendant is oxidized in its finish, with the little brass heart in its centre adding style and class.